Nearshoring is a way to increase a company’s capacities while avoiding problems implicit in a typical offshoring relationship. We’ve covered the advantages and downsides of offshoring for the software development industry in another article. For more context, this article is the first in a series on nearshoring in the diverse countries of Latin America. We compile as much data as possible to help guide you on the best choice for your business. The first country we’ll be profiling is Ecuador. Full disclosure — we have an office in Quito, the capital. That may make us seem biased, but our intention is to analyze both the good and the bad in as balanced a way as possible. Ecuador is a relatively small country in South America about the size of Nevada. It is located on the northwest coast of the continent between Peru and Colombia. Situated on the equator, it possesses extreme biodiversity owing to a variety of landscapes that allow a multitude of microclimates. It goes from the blazingly hot coast to the cooler mountainous climes of the Andean interior, then east to the tropical lush Amazon rainforest. It attracts a high degree of tourism owing to its rich history and adventure travel. The population of 16.9 million people is about 60% urban, living mostly in one of three major cities, Guayaquil, Quito, and Cuenca. Guayaquil is the most populous and, as the main commercial port, is the economic driver for the country. Quito is the 2nd most populous city and is the center of administration. Being at high altitude, it boasts spectacular mountain vistas. Cuenca, a smaller city, known for its combination of traditional living and a large expat community is very tourist friendly and has an active nightlife and arts community. The government is a representative democracy with a president, a unicameral Congress known as the Assembly, and a high court. At the time of writing, the party in power is leftist leaning but has a president, Lenin Moreno, who appears to be trying to address criticisms of the hubris that indebted the country. He seems to be shrinking aspects of government and acknowledging charges of corruption, including against his Vice President-elect. At the moment, the government is relatively stable, having experienced bouts of crisis, exemplified by the ouster three of four presidents in the previous two decades. The country is about 90% literate and had benefited in recent years from a government push, based on windfall oil revenues, to provide funding for post-secondary education to its young population. 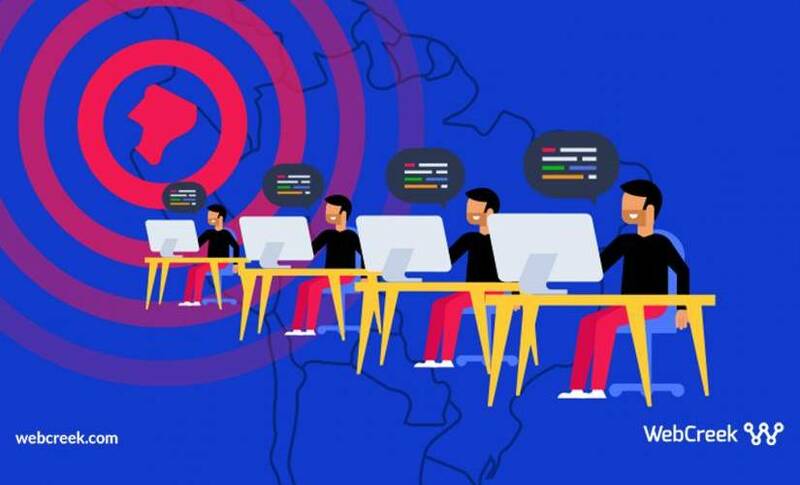 For the purpose of software development, we’re grateful for that since many Ecuadorians, a pragmatic people, chose to go into computer science, providing a healthy pool of highly-qualified computer engineers. Oil prices have since collapsed, but the genie has already been let out of the bottle, with the society at considerable understanding the importance of education. When I thought of Latin America, I tended to think of it as further west than it actually was, maybe because so many of the Spanish sounding state names start in more western parts of the U.S. In reality, Ecuador shares a time zone with the East Coast of the U.S for half the year from, November to March; and spends the other half of the year on Central Time. This means that it shares a time zone for at least part of the year with 38 states of the US, and is only a couple of hours away from the rest. Ever since Ecuador’s currency crisis of the late ’90s, this country has used the U.S. dollar as its currency. Using U.S. dollars makes calculations and transfers of funds from the U.S. more accessible and more predictable. It also means never having to exchange money when coming to visit and certain irresponsible monetary practices impossible. The median age in Ecuador is 27, which means there are many young people interested in technology. More and more young people are majoring in or doing master’s degrees in IT or Systems, which means the talent pool for software development is growing. The previous government provided scholarships to those who studied abroad, with the contingency that once students finished their degrees, they must return to the country to contribute to the workforce for a certain number of years. Many skilled workers are highly proficient in American English. Collaboration and service support for a US clientele is that much better as a result. British English is the norm in the traditional offshoring countries of India and the Far East. While that’s not necessarily a bad thing, it may add a layer of cultural distance. On the US News and World Report’s Best Countries Ranking, Ecuador actually scores higher than the U.S. in the “Open for Business” category. Doing business here has lower costs and relative to the US, less bureaucracy. Of course, there will always be disadvantages to doing business in any environment, but being aware of what they can help mitigate those problems. Ecuador was once known for its ridiculous number of holidays per years. It’s no wonder the country is high on the happiness index. The government has reined that in recent years, but there remains a leisurely approach to work that may give pause. The good news is that a company with the right structures can solve these issues and align the different work cultures. Indeed, the mixture of structured and unstructured work can help the creative process along. Relative to other Latin American countries Ecuador is safer, but there are still issues with petty crime, robberies, and pickpocketing. This drives up the cost of security and creates mistrust in public areas. Ecuador is a country that is high on the quality of life index, and it shows in the friendly, cheery attitude people have. The office we’ve nurtured overlooks the beautiful Carolina park that functions as a kind of Central Park where people congregate, exercise, or just plain hang out. Our 40 or so developers, writers, QAs, or leads take their breaks on the sunny roof deck, and come back down to do the critical work of building apps, websites, or providing crucial technical support. As far as we’re concerned, Ecuador is a great place to do business. Other factors may be salient to your business that requires it to do business elsewhere. This series focuses on providing you with enough information to make the right choice. If you’re curious about nearshoring services, or advice, feel free to contact us at contact@webcreek.com.